With thanks to Tony Ingham for scan and notes, and Josie Walsh for the family details. 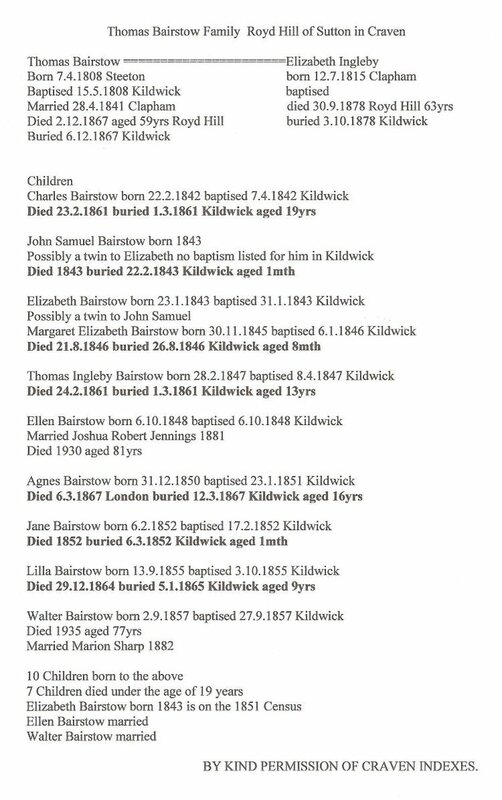 They all lived at ROYD HILL with parents Thomas and Elizabeth Bairstow. Matthew the brother to Thomas lived at Springfield and after his death in 1881 James Bairstow took over the running of Springfield and the mill (T & M BAIRSTOW).